Street Saw is based in Las Vegas, Nevada, USA. One of the reasons StreetSaw is so highly regarded is because they’re not merely an overseas brand, but actually make and distribute their own products. Believe it or not, Street Saw, which is highly-regarded as a premium brand across the nation, has 5 classes of Hoverboards. (DailySaw, StabilitySaw, FutureSaw, AlienSaw and RockSaw). Even more remarkable is the fact that each board is completely different from their siblings. Each Hoverboard in Street Saw’s line-up was specifically made for different functions, using varying technologies. Let’s take a look at the line-up (all prices listed come from Street Saw’s website). The DailySaw’s top speeds are perfect for thrill-seekers and people who like to go fast. $379.99. In stark contrast to other models, the AlienSaw’s weight capacity (280 lbs.) is ideal for people who want to get the joys of riding Hoverboards without worrying about their weight. Additionally, the AlienSaw’s LED lights flash at night – making you even more visible to oncoming traffic in the dead of night. Comparable to other Hoverboards’ LED headlights with a fixed ray, the flashing LED lights of the AlienSaw add an extra touch of safety. The StabilitySaw is, no surprise here, their most stable board. Thanks to the Hoverboard’s 10” wheels, it’s a perfect fit for off-terrain or rocky paths that other boards in the line-up may have trouble with. Street Saw’s other boards have 6.5” tires, meaning they’re meant for flat-surfaces only. (The “huge” tires also means it’s much more stable, which is a great relief for beginners and rookies new to the Hoverboard experience.) One version has Bluetooth ($799.99) and the other doesn’t ($699.99). 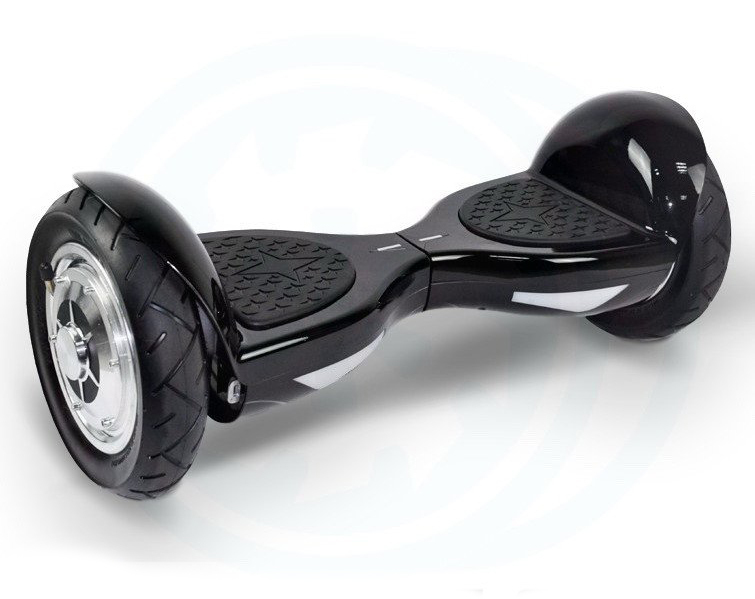 While Street Saw Hoverboards are typically more expensive than their competitors, the price is often justified. (Put simply, Street Saw boards are awesome and high quality.) Plus, each “class” comes in various colors: Black, Blue, Red, Pink and White. One reason why Street Saw Hoverboards are worth the extra bucks is this: the battery was made by Samsung. Samsung is world-renown for making quality tech products, and their batteries are no different. Although the battery is sufficient enough, it’s highly advisable not to overcharge batteries for more than the maximum capacity of charge time. This means no leaving it in overnight, or else accidents (sparks, melting electronics, or in extreme cases even fires) will happen. Also worth noting is each board in Street Saw’s line comes equipped with a “low-battery alert” system. This system simply tells you when it’s time to recharge your Hoverboard. However, Street Saw’s boards typically last between 5-6 hours (depending on how fast you ride and for how long). When it is time to recharge, expect to wait only an hour and a half for the Lithium-ion battery to reach max. capacity. This charging time is phenomenally lower than other standard Hoverboards – which generally require 2-3 hours to fully charge. It’s worth remembering to physically monitor your Hoverboard while it’s charging; overcharging any Lithium-ion battery (which is what Street Saw—and other manufacturers—use in their boards) makes it vulnerable to catching fire and causing electrical damage, potentially injuring riders. “Exploding boards” were a huge cause for concern when Hoverboards were released to the public in 2015. A lot of manufacturers had to recall their product lines when customers complained. Although many manufacturers have improved their products since then, a fire still can happen when the Lithium-ion battery surpasses its maximum charge capacity. Most of Street Saw’s Hoverboards reach up to top speeds of 10.5mph or ~16 km/h which is incredibly fast for Hoverboards – the typical industry-standard speed is 7-9mph (~11-14 km/h). That said, it isn’t so fast you’ll feel like you’ll fall off. It is, however, fast enough for children and older folks to proceed with caution (for their own safety and the safety of anybody around them). As is typical in the Hoverboard world, the larger the diameter of your tire, the more stable your board will be. Self-balancing scooters with 9-10” diameter wheels are generally some of the easiest and smoothest, accident-free Hoverboards you can buy. As you can guess, any tire diameter less than 9” is typically used for “speed rides” and “quick turns” and “tricks” by more experienced riders and thrill freaks. A rarity in this industry is the fact that, on Street Saw’s website, you can talk with a certified (and knowledgeable) technician who will answer any questions or concerns you have about Street Saw’s products. This is a rarity because not many manufacturers have this type of customer service people can use before buying a board… when reviews, such as this one, may not answer questions you may have. It’s painfully evident that Street Saw put a lot of thought into their Hoverboards’ experience – one that I’m sure most people find highly appreciative in such a competitive industry. It’s also nice knowing that they have a 90-day repair warranty.